Ffynnon Dudwen is situated in a field a couple of hundred yards from the little church of Llandudwen around two miles to the east of Tudweiliog. 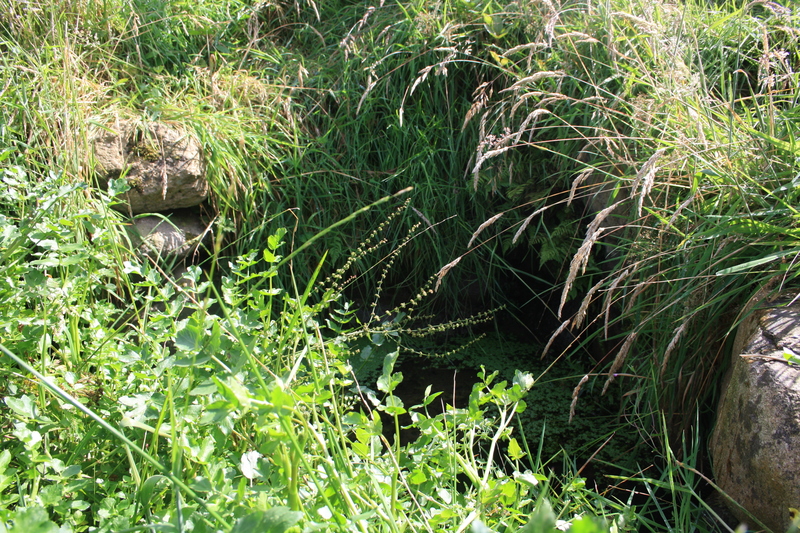 In the twentieth century it was generally stated that the well was lost, but efforts by local enthusiasts and Gwynedd Council in recent years have led to the rediscovery and restoration of the well so that it can once again be visited. Tudwen is said to have been one of the many daughters of Brychan Brycheiniog (alongside Ceinwen and Dwynwen), although she does not appear in the majority of lists of his children. The church at Llandudwen is the only church that bears her name. It is suggested that the church was founded on the site of Tudwen’s grave in the fifth century. 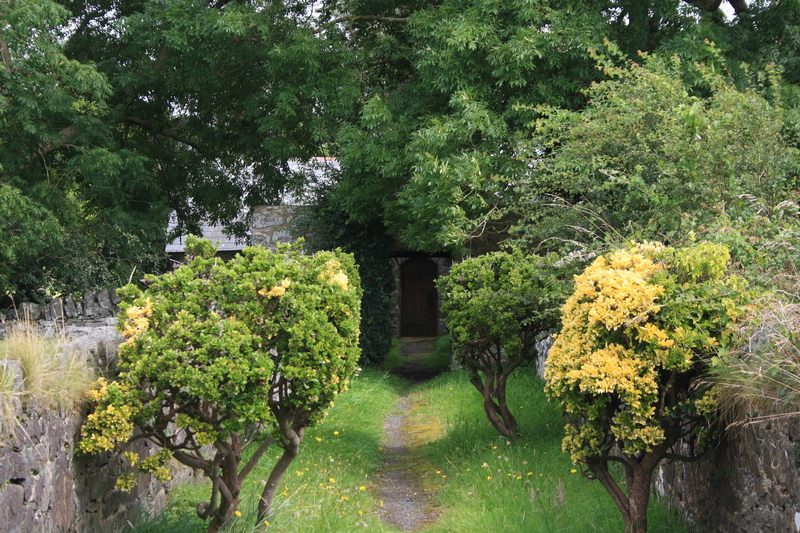 The present church, dating from the 16th and 17th centuries, is accessed down a narrow tree lined pathway. 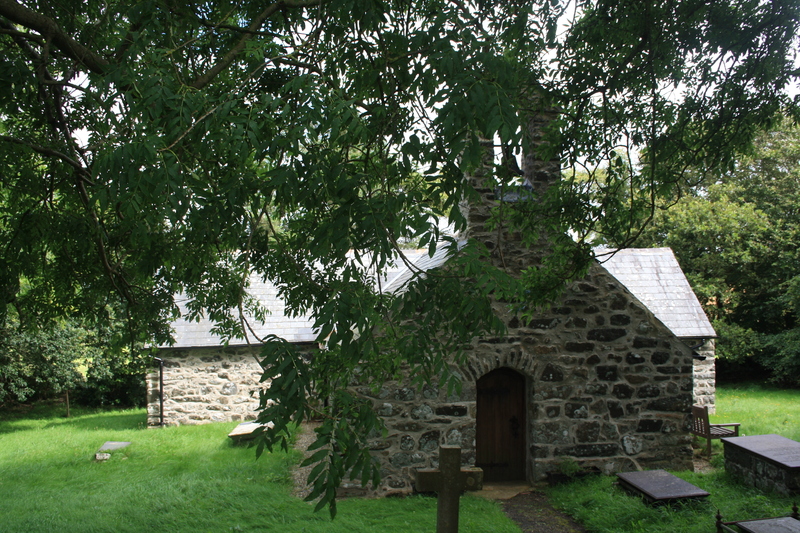 The church was once at the centre of a larger community, however population has drifted away from the area, the parish being abolished in 1934 and split between Tudweiliog and Buan. The church is however still active and used regularly for services. 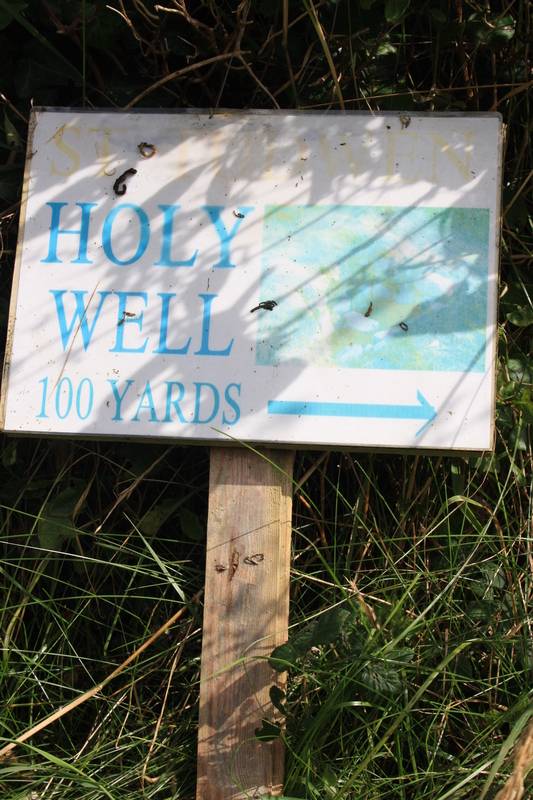 To find the well from the church walk back about 100 yards on the track towards the road, where a new kissing gate has been constructed. Go through the gate and cross an exceedingly boggy field to a second gate. 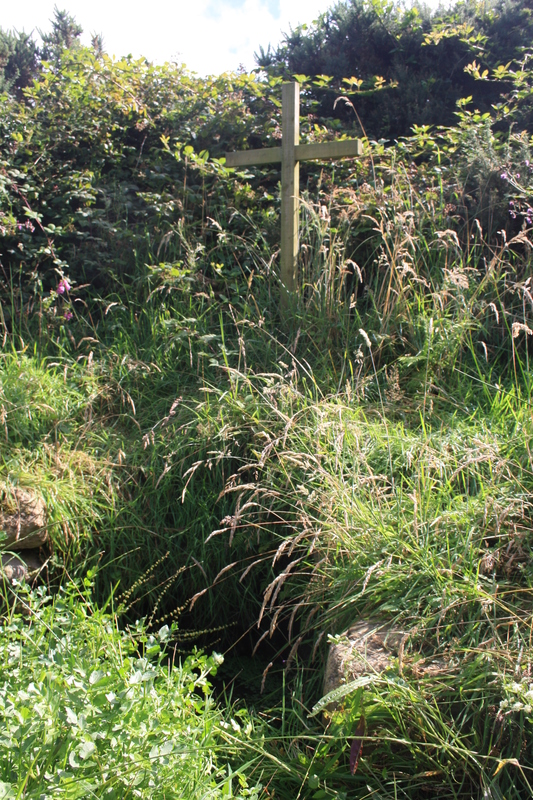 From this gate cross a stile and the well is found marked by a wooden cross. Historic records of the well described it as having been of a semi circular form, supported at the rear with stonework in the embankment. Site clearance in 2010 enabled the restoration team to identify the basic shape, although little of the original construction remained visible. 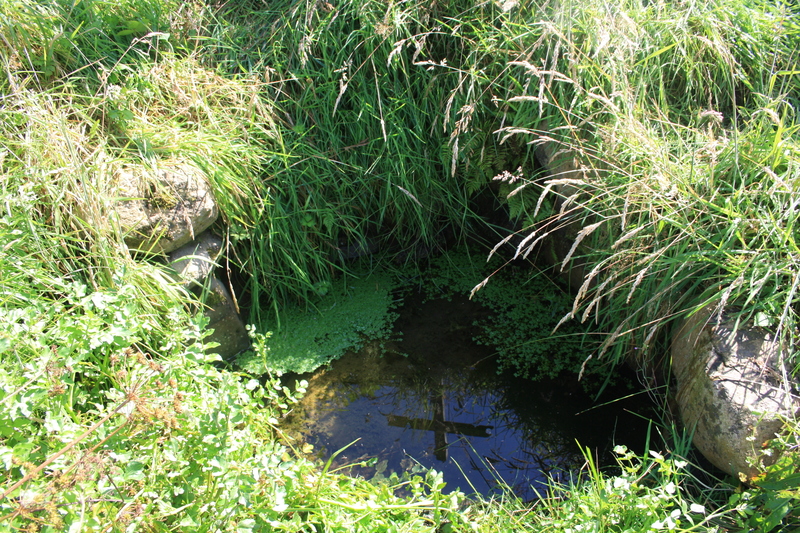 Since then local craftsmen have been involved in restoring the well and the area surrounding it. 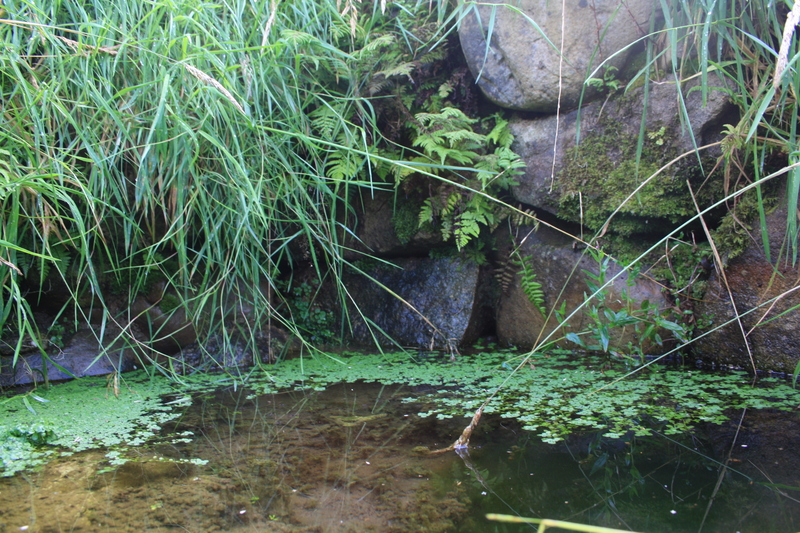 Although fairly overgrown in August on our visit, the rear stone wall is clearly visible, with flatter stones sunk into the ground to form a front lip to the well basin. 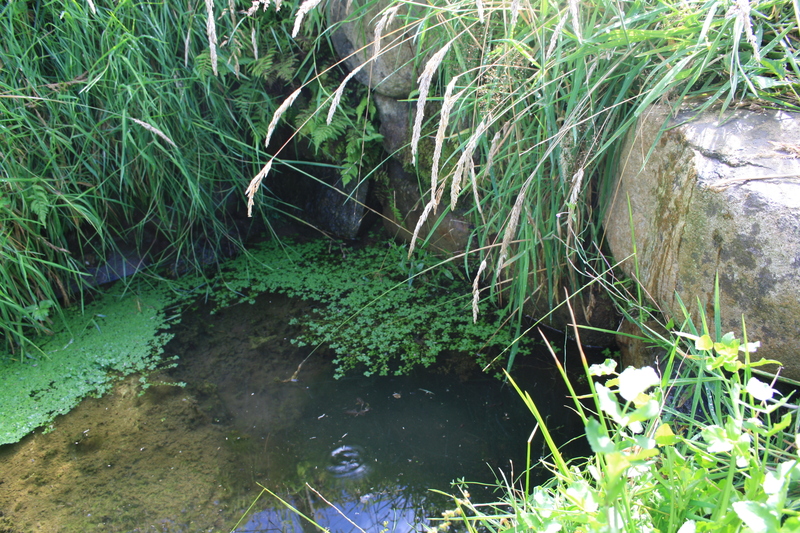 Traditionally the well was held in great repute for cures for sore eyes, rheumatism, epilepsy and numbness. Devotes would throw money or pins into the well when seeking cure. Jones (1954) records that in the past clandestine weddings were solemnised at the well and that the water was regularly used for baptism. St Tudwen’s Day is variously given as October 22nd or October 27th.